Epionce Renewal Facial Cream is your tool for perfection if soft, smooth skin is your goal. The rich, skin-soothing formula hydrates the skin while effectively stimulating barrier repair. This helps to reverse and prevent the release of destructive inflammatory factors. Backed by powerful complexes of calming ingredients, skin will be clear and lustrous. This luxurious cream is ideal for dry/sensitive to normal and climate-challenged skin. After cleansing, massage gently into skin until product is full absorbed. Apply 1-3 times daily or as needed. Apple Fruit Extract lightens and brightens. Rose Hip, Safflower, and Avocado Complex softens and smooths. A rich cream that will soak into skin in minutes. This cream will keep your skin moist all day. I sometimes change it out with another cream from Teoxane. Great for dry skin! My dermatologist recommended this product for me numerous years ago. It has been a good compliment to my skin care regime. I have combination skin and it keeps it hydrated but not greasy. I see my dermatologist regularly and they still recommend it for me. I will keep using it. I began using this product in 2013. At 70 years old my skin looks and feels better than it ever has. I have extremely dry skin and the moisture replenishment in this product is amazing. I was a bit hesitant buying this cream compared to the renewal lotion. The product is actually great and non-greasy! 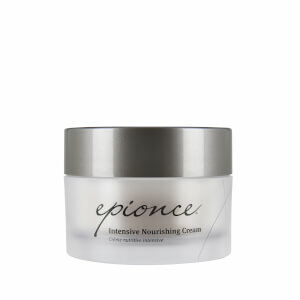 Have been using the renewal cream along with other Epionce products for about a month. I am truly amazed at the changes in my skin- more luminous, plumper & overall texture. I have very dry skin and have used this cream for my face & neck since 2013. It provides a light moisturizing that lasts for hours. I use it twice a day. I use this cream after I wash my face at night. It is a great overnight moisturizer! I've used this cream for years cause it's so great! Not too heavy or too light. Just right!